Dairy commonly triggers a gluten-like reaction. Surprisingly coffee can too. If symptoms don’t improve on a GF diet, these may be the culprits. Gluten intolerance has been linked in the literature to 55 diseases so far, most of them autoimmune. Fortunately a revolutionary breakthrough in gluten reactivity testing at Cyrex Labs, founded on years of leading immunological research, is now available to help determine whether this ubiquitous substance is damaging your health. Previously it was thought that the effects of gluten were limited to celiac disease, and strictly gut-oriented, such as bloating, gas, and abdominal pain. Thanks to ongoing research, we now know the effect of gluten on brain and nervous tissue is significantly worse and more far-reaching than we ever realized. It’s estimated that in celiac disease, some patients have no gut symptoms, but instead experience neurologic and psychiatric symptoms. Some even experience no symptoms at all, while the gut and other body systems are still being damaged. These newly-discovered presentations of the disease are changing the face of celiac diagnosis and treatment. What’s more, we now have a tome of research establishing the existence of non-celiac gluten sensitivity (NCGS), a condition researchers say affects up to 6 times the numbers of celiac disease. In NCGS, symptoms may be limited to the gut, but a growing body of research shows that in some individuals, NCGS can have significant impacts on the brain. With the prevalence of neurologic effects due to gluten, proper testing is clearly a high priority for patients. Blood tests. The old standard of blood tests for gluten intolerance have a less than 30 percent accuracy rate. Would you tolerate that accuracy rate for cancer, heart disease, or pregnancy test? Salivary tests. Most salivary tests produce false negatives due to the assessment of only one antibody of one wheat protein, while many gluten-based proteins exist that people can react to. Cyrex Labs offers salivary testing that screens for more than one type of antibody. Stool tests. Stool tests produce false negative and false positives due to specimen-interfering factors that alter the outcome of results. The old standard of tests screen for only one component of wheat. Being gluten-intolerant isn’t as black and white as once thought. Actually “gluten” is a misnomer; gliadinis the portion of wheat that triggers an immune response. (Since “gluten” is commonly used I will stick with that term). It has been discovered wheat is made up of more than 100 different components that can cause a reaction, not just one. The problem is, a person can react to only one ofthe many proteins in wheat, or a combination of proteins, peptides, and enzymes associated with wheat. Therefore, testing for only one is like pitching a pebble into a quarry and trying to find it. Meanwhile practitioners still use the old tests, patients are told they are not reactive, and they continue to suffer. After many years of research and development Cyrex Labs in Arizona offers comprehensive and highly accurate testing for gluten intolerance. It’s time all practitioners get on board with these new test methods. Cyrex Labs tests for 23 of the most antigenic (meaning most likely to provoke a reaction) pathogens associated with wheat and gluten. Cyrex also offers testing for gluten cross-reactivity. For instance, eating dairy can trigger a gluten-like immune response because the body sees their protein structure as one and the same. Knowing about cross-reactivity helps patients to eliminate a source of added symptoms and bodily damage. Cyrex was founded by Aristo Vojdani, Ph.D., M.Sc., C.L.S., a leading researcher in the fields of autoimmune disease and neuroimmunology who has published 120 peer-reviewed articles in scientific journals. As new research expands our collective knowledge about reactivity to food and environmental factors, Cyrex expands its offering of test arrays. Measures intestinal permeability (leaky gut) and also helps determine the damaging route through the intestinal wall. 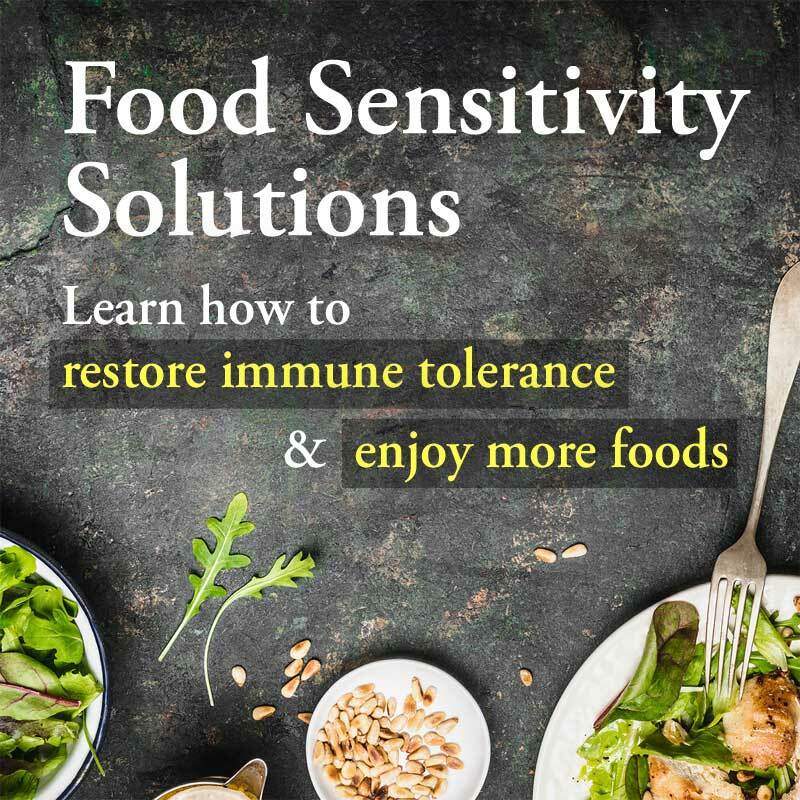 Have symptoms of food sensitivies and intolerances. This test identifies how gluten is robbing you of gut health.Gluten causes inflammation in the gut, which eventually leads to intestinal permeability, or “leaky gut.” Leaky gut allows undigested food particles, bacteria, and other pathogens to escape into the bloodstream where they can trigger sensitivities, allergies, and inflammation in other parts of the body. This test pinpoints which of these is causing leaky gut so your practitioner knows what to specifically target for faster and more efficient gut repair. Experience gastrointestinal symptoms that haven’t responded to treatment. Suffer from depression or neurological autoimmunity. A highly sensitive and accurate measure of gluten reactivity, this is a great test for people who have a family history of autoimmune disease, even if they’re asymptomatic. Since so many autoimmune diseases are triggered by gluten, this test shows the patient a gluten-free diet can prevent him or her from going down the same road as family members. Array 3X measures 23 factors: antibody production against 8 wheat proteins and peptides, 3 essential structure enzymes and the gliadin-transglutaminase complex. Until recently testing for gluten intolerance was against only oneof those components, alpha gliadin. Surprisingly, many practitioners still use this outdated testing. Through extensive research Cyrex pinpointed the other components of wheat that most often provoke an immune response. This test greatly expands the parameters of gluten intolerance testing, catching those who may have previously tested negative because they don’t react to the alpha gliadin. Note: If a patient is completely gluten-free for more than four weeks before the test, there is a potential for a false negative result. Array 4 (below) was designed for a patient already on a gluten-free diet. Gliadin IgA + IgG antibodies. IgA and IgG antibodies, the two primary antibodies involved in an immune intolerance, are used to screen for gluten intolerance. Screening for both gives a more accurate view of immune status. Transglutaminase IgA + IgG antibodies. Transglutaminase is an enzyme in the digestive tract targeted in an autoimmune attack triggered by gluten. If this marker comes back positive you know gluten is destroying gut tissue through an autoimmune attack. Array 3X also tests for whether gluten has a drug-like opiate effect on an individual. Some people have enzymes in their digestive tract that break gluten down into opioids that act like heroin or morphine. Embarking on a gluten-free diet can cause terrible withdrawal symptoms in these people. One practitioner tells of a patient whose withdrawal symptoms were so severe she went to the emergency room. Another problem with opioids is they disrupt brain function by attaching to receptor sites normally meant for neurotransmitters. 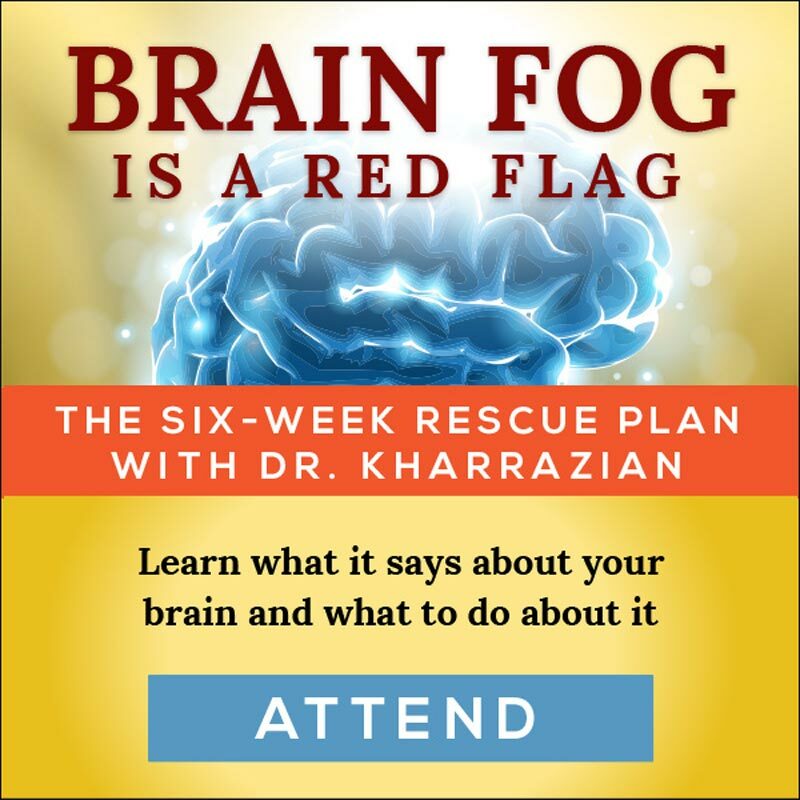 Neurotransmitters are brain chemicals that help dictate our personality, moods, behavior, bodily function, and more. This opioid effect on neurotransmitter receptors explains why gluten plays a role in so many cases of ADD/ADHD, autism, or behavioral problems in children; or brain fog, depression, anxiety, and migraines in adults. When one mother put her autistic son on a gluten-free diet, he began eating the binding out of books as he was so desperate for his gluten-opioid “fix” (glue commonly contains gluten). Array 3X screens for antibodies to the opioids, which signals their presence in the brain. Twenty-four foods known to cross-react with gluten or are newly introduced to a gluten-free diet. Experience limited or no improvement on a gluten-free diet. Have intestinal dysbiosis which seems to be resistant to standard therapies. One of the most frustrating scenarios for both the practitioner and the patient is when a gluten-free diet fails to have any effect on a person who seems so clearly gluten-intolerant. Newer research shows this may be due to cross-reactivity. In cross-reactivity the body mistakes another food for gluten and reacts accordingly. Array 4 tests for 24 different foods that may be causing cross-reactivity. When people go on a gluten-free diet, they commonly consume foods they haven’t eaten before. Array 4 tests for such foods, such as amaranth or quinoa. Never having been exposed to these foods could trigger the immune to respond as if these grains were foreign intruders, especially in the case of a leaky and inflamed gut. Cross-reactivity is common with dairy as its structure so closely resembles that of gluten. In fact 50 percent of people who are sensitive to gluten are also sensitive to dairy. Cyrex researchers were surprised to find instant coffee has the highest rate of cross-reaction with gluten. In other words, some people’s immune system mistakes instant coffee for gluten, triggering a reaction. This test informs people whether one needs to give up instant coffee to prevent gluten cross-reactivity. This panel has great clinical significance as it explains why people still react even after giving up gluten and even dairy. For more information on food reactivity after starting an elimination diet, see my article on loss of oral tolerance. Which parts of the body are affected by gluten intolerance. Have a diagnosed autoimmune disorder, as there is a 25 percent chance of developing another condition. Have chronic increased leaky gut (intestinal permeability), which is considered the gateway for environmentally-induced autoimmune disorders. Array 5 measures predictive antibodies, which can appear up to ten years before any clinical symptoms. It also assesses possible tissue damage to multiple organs of the body. People typically shrug off the possibility of a gluten intolerance by saying, “I don’t have any digestive problems.” Little do they know that gluten produces digestive symptoms in only a minority of people — while damage is still occurring. For the majority gluten damages the brain, the heart, the skin, the respiratory tract, or the joints. This test measures antibodies to target sites such as thyroid, blood, brain, reproductive organs, heart, and more. Arrays 6, 7, and 8 test for subsets of the complete autoimmunity screen, focusing on neurological, diabetes, and joint autoimmunity respectively. If your immune system is depleted, you may not be able to produce enough antibodies to be caught on a test, even if your body is reacting to them. It’s useful to screen for your total antibody counts first to ensure accurate test results. You can do this with a total immunoglobulin test. Antibodies are used in testing to determine whether the immune system is reacting to something. Secretory IgA, a type of antibody, is manufactured in the mucosa of the gut lining. Its job is to keep invading pathogens, such as viruses, bacteria and food proteins from attaching to the gut lining. When the layer of mucosa that protects the lining of the digestive tract breaks down or becomes dysfunctional, total secretory IgA may be too low or too high. This means you could have too few or too many antibodies to test properly, even though you are gluten-intolerant. This marker screens for that. For those with low SIgA, repairing its function may be necessary before further immune testing can be done accurately. How do I arrange a Cyrex test? All Cyrex tests are provided through a licensed healthcare practitioner who has an account with Cyrex. These include MDs and DOs in all states; NDs, DCs, and DOMs in most states; and LAcs, PAs, RDs, and NPs in some states. Will medications, foods, medical conditions or other factors interfere with my test result? In some cases, yes. Immunosuppressant and corticosteroid drugs can reduce antibody counts and cause false negative test results. In limited assessments on the effects of aspirin, acetaminophen, and antipsychotics on Arrays 2-4 have been performed, and no noticeable effects were observed. It is also possible that an unknown cross-reaction to a food and/or microorganisms may stimulate antibody production in the absence of a true antigen. This often produces a high number of false positives. If you are gluten-free for more than four weeks, it’s possible to have a false negative test result on Array 3X. Array 4 was designed for those already on a gluten-free diet. As I mentioned in this article, many practitioners are still unaware of the need to test for more than one factor of gluten (alpha-gliadin). Make sure to ask what factors are being tested, and request Cyrex for the most accurate and up-to-date testing. For more information on Cyrex’s Arrays, see their information-packed patient website, and their FAQ on their testing website. Does your testing require the person be eating gluten? Will this test be effective on people whom have been gluten free for years and still having issues? If it needs to be ordered by a doctor, will our insurance cover your testing? However, if youve been drinking coffee since you were little, is it still considered an issue with gluten cross-reactivity? Giving up wheat is one thing lol….coffee is like blowing my brains outta my head. This reply is very late, so you may have better information by now, but I just wanted to point out that the article only discussed instant coffee. If all coffee were problematic, I think the author would have made that clear. Yikes, I’m with Priscilla on this one, but may have to challenge coffee. I almost can’t stand the thought of that! I’ll be watching for the answer to Deb’s question, as well. I’ve been gluten, dairy and all grain free for 3 months and can’t bring myself to eat it for the tests as any cross contamination is brutal. I’d like to repeat Deb’s questions: Does your testing require the person be eating gluten? Will this test be effective on people whom have been gluten free for years and still having issues? If it needs to be ordered by a doctor, will our insurance cover your testing? If a person has been off gluten for four years, I am assuming these tests might not work? Correct, if you have not been eating gluten it will most likely come back negative, if you are gluten intolerant. It takes about a month for the antibodies to develop after exposure. 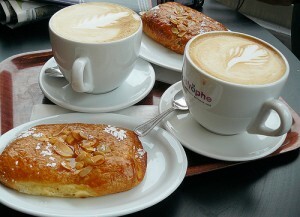 As for coffee intolerance or tolerance … just a quick story about my husband and I. My husband is an AVID coffee drinker (about since middle school). About three weeks ago we started the GAPS diet, though we had been grain free for several months before that and dairy free for a bit too. He weaned himself off slowly, supplementing with swiss water decaf until he wasn’t drinking coffee at all. On the other hand, I have always had a problem with coffee. It makes me feel funny and sick. Rushed too. I can cut it out no problem. Then I tried swiss water decaf and it was a WHOLE other story. It was delicious (!) didn’t make me feel crazed and I could take it or leave it each day. My husband is back to drinking his coffee because his body just doesn’t feel right according to him without it. The other night we drank organic, though not swiss water decaf coffee, and we are still both sick from it. I guess I would suggest that if your body is reacting poorly after a time of healing with a grain-free, dairy-free diet, try to cut it out and see what happens. Otherwise, some people just respond really well to the antioxidants in coffee. It seems to be a personal (and nutritional) choice and I really feel like some people’s bodies NEED coffee. I am very interested in learning more about these tests as they become more available. I am a Health Kinesiologist and am able to muscle test for the presence of gluten intolerance in my clients. I personally live with Auto Immune Disorders and Gluten Intolerance. Many of my clients have had the traditional tests for Celiac and Gluten Intolerance and have been told they do not have this disorder, however, living gluten free and sometimes dairy, soy, peanut free has eliminated the symptoms they experienced. Please keep me informed about the availability of these tests and the broader information gained through this research. Thank you! I am very thankful for this newsletter that indicated that coffee may trigger a gluten response. I stopped having palpitations/ectopic beats while I was doing the elimination diet, but they came back shortly thereafter when I reintroduced coffee (organic decaf) even though I was still avoiding gluten and dairy. I couldn’t find a correlation between the palpitations to possible gluten/dairy cross-contamination, but now that they have gone away again after stopping drinking coffee, I think that was the culprit. This is unfortunate since I enjoy coffee, but it is so much better than having palpitations & ectopic beats! Sara, I think palpitations from coffee can be an adrenal issue. I’d look into getting cortisol levels checked. Thanks for the informative post! Really thorough and makes you realize how gluten can have an affect on us! Although I am more sceptic now! Is that a good or paranoid thing? This is still an eye opener for many people and I thank you for that. I will be back for more of your posts. This video is great as it shows that you can use dairy and gluten or use for suistbtution of dairy and gluten. Thanks for sharing this because it is very helpful in creating different batches of cookies for different people. The idea of having to deal with coffee totally flips my life upside down.. i’d give up everything else.. i can’t even imagine.. i even almost had a panic attack last night thinking that i will be part of the 50% that’s intollarent to it! I can’t even imagine.. my whole house is decorated in coffee cups etc.. and it’s not always about the caffiene.. i just love the “coffee” culture! I wish there was more information about this.. what would happen if i DIDN’T give it up? Hi there! I understand this is sort of off-topic but I neeedd to ask. Does managing a well-established blog like yours require a large amount of work? I’m completely new to writing a blog but I do write in my journal every day. I’d like to start a blog so I will be able to share my own experience and thoughts online. Please let me know if you have any kind of suggestions or tips for brand new aspiring blog owners. Thankyou! 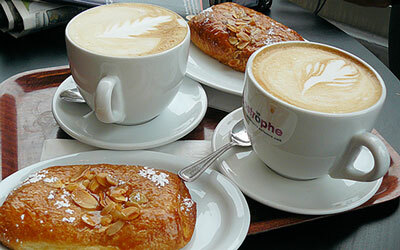 As sad as the thought of giving up Coffee is, if the body is having a cross reactivity to it, the same pathways will be triggered as if one was eating gluten. Same with chocolate, etc. Probably not that common, but the big part of the cross reactivity test is that it looks at all the different grains, even GF grains. I run this test on patients that have gotten perhaps 75% better without gluten, but still have some issues they can’t figure out. What about switching t Teecino? You brew it like coffee and it tastes pretty good. Unfortunately, Teechino is not gluten-free. It contains barley. I discovered this to my sorrow shortly after going gluten-free. I really like Teechino! Whoops…upon further investigation, it turned out that Teechino IS gluten-free. Don’t ask me how they do it, but it’s clearly labeled as such on the package and I drink it occasionally. After much consideration by my ND we decided to do the Array 4 test since Im already gluten free and I have Hashimoto’s. 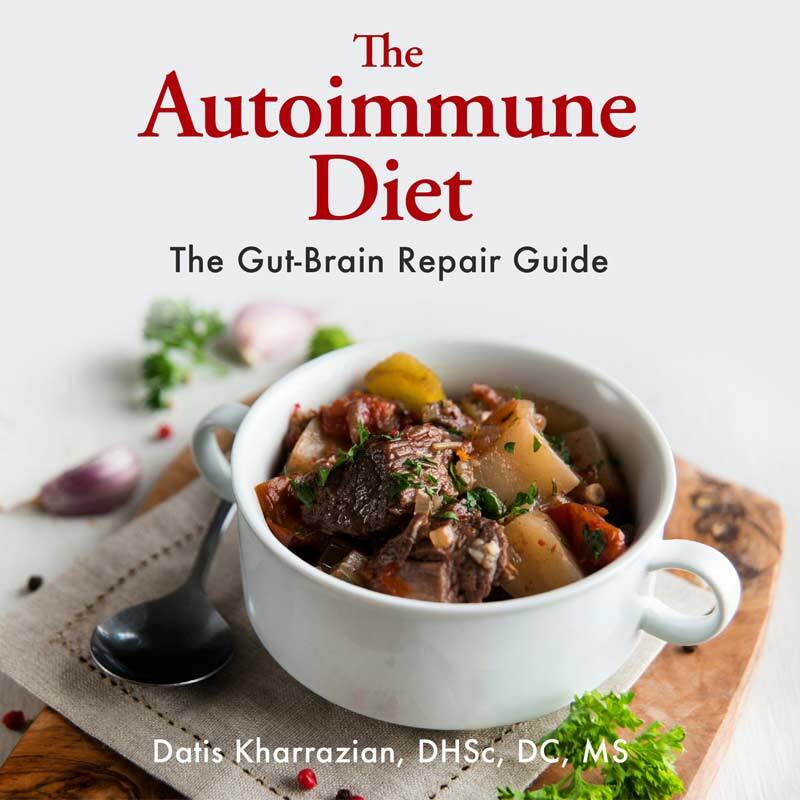 In Dr. Kharrazian’s Thyroid book, he explains all autoimmune thyroid patients should be gluten free since the protein gliadin looks identical to the thyroid gland protein, so when gluten is consumed the inflammation response is enhanced that much more…what also blew my mind was that he reports even after one exposure to gluten a patient reported symtoms of a gluten intolerance reaction for up to 6 months! As for the “lessor reactions”, my ND reccommended I do a full elimination of all grains, dairy, chocolate etc…heal my gut (as in, give it time for the inflammation response to go down) for like 2-3 weeks, and then consider rotating the less reactive grains in my diet, so I can at least eat something! I feel fine all in all, the only thing I have noticed over the course of 15 years (Im 31) is that I have always been anemic and had bouts of low energy from time to time…I did some research and found links between thyroid issues, celiacs ,and anemia. Eliminating gluten has elevated my iron levels quite a bit and my thyroid has been easier to stabalize. On a seperate note to all who are consuming “gluten free” already made breads, crackers, pizza crusts etc…check out the ingredients…just because its gluten free does not mean its good for you!!! there is way to much crap to stabalize all the non glutenous grains, it makes me extremely gassy:(( so I bought a dehydrator and make my own veggie crackers:)…so much better making your own food, my body def feels it= happy! Thanks for letting me share my interesting experience! Does your testing include testing for the lectin component of wheat protein? Array 3 – Wheat/Gluten Proteome Reactivity & Autoimmunity test costs $325. Would insurance pay for this if my doctor orders it? help me to find them. I have taken the Cyrex test and found that I am sensitive to the oil on coffee beans (not the caffeine). I had already replaced coffee with a drink I found at Costco called zip fizz, which has caffeine from another source that’s not from coffee when I took this test. And though I do miss the whole “coffee culture” I don’t miss how crummy I used to feel before I began following the autoimmune / adrenal repair way of eating. Nothing can entice me back to those days of feeling like I was 80 years old (I’m only in my 40s!) no dairy, no grains, no sugars, and for me, no beef or lamb. Additionally, I found out that am severly reactive to quinoa and tapioca (cassava root), which is used in nearly every “gluten free” product out there. I noticed a tremendous improvement in energy, mental clarity, weight loss, etc. when I stopped eating iodine-rich foods like kale, spinach, and broccoli. I encourage you to do it! I have my life back! Rakhima- you need to go to the cyrex website for some of the answers. Haven’t found the answer for being GF before testing though. Hope this helps. I am seeing my MD tomorrow and am going to request these tests. I have heard you need to expose yourself to the foods before the test. One doctor told me to eat one of the bars Garden of Life makes because almost every ingredient on the test is in the bar. But call the lab to double check. Hi there would you mind letting me know which web host you’re working with? I’ve loaded your blog in 3 completely different internet browsers and I must say this blog loads a lot quicker then most. Can you suggest a good hosting provider at a reasonable price? Thanks a lot, I appreciate it! Admiring the time and effort you put into your site and detailed information you offer. It’s good to come across a blog every once in a while that isn’t the same outdated rehashed information. Great read! I’ve saved your site and I’m including your RSS feeds to my Google account. OMG, OMG, OMG!! I really want to get this Cyrex Labs Array 4 test done! Celiac and Hashimoto’s came back negative, but I also have severe reactions to gluten and other grains, as Dr. K says, gluten sensitivity and intolerance tests are only 30% accurate. I am hypothyroid with elevated TSH which has gotten worse after supplementing with iodine. (Only one drop of Lugol’s 5% 12.5 mgs/day) I noticed other benefits, so it is sad to have to stop. I read elsewhere that when supplementing, it can be normal for TSH to go up for a time being. This is all so confusing, will keep everyone posted! I am newly diagnosed with gluten intolerance. Got hypothyroidism also. Do now have high TSH but my Doc says its not in the functional range. I am not taking any hormone replacement for thyroid. Just started with my gluten free diet. I have read so many things people can have reaction too. Like gluten, dairy, soy, nuts, even rice, quinoa, tapioca. So now the question is if these all should be avoided what can I eat ? Is there anything left which can be eaten on regular basis. Moreover should I prepare all my food on my own. Because most of things we buy from outside will have some of the reactive food. Is there any full proof diet plan for a vegan person with autoimmune disease. The test will come back negative if you have not been eating gluten. Unfortunately there is some confusion around this. It takes about a month for antibodies to develop. Some say to eat a bite of the food you want to test every day for a week, then wait a month to test. But if you already know you are gluten intolerant don’t bother. This is more for the food sensitivity panel. I’m asking you, because it looks like you know what’s going on here and I’m new to all this. I’ve given up gluten and am in the process of giving up all grains. How do you know what Cyrex lab test to choose? I went there and none specifically says anything about Thyroid. I’ve learned I have Hashimotos. I’m concerned about the T1 or T2 dominant thing. For example, I have green tea every day, I even use the more concentrated, Matcha tea. I also drink coffee. 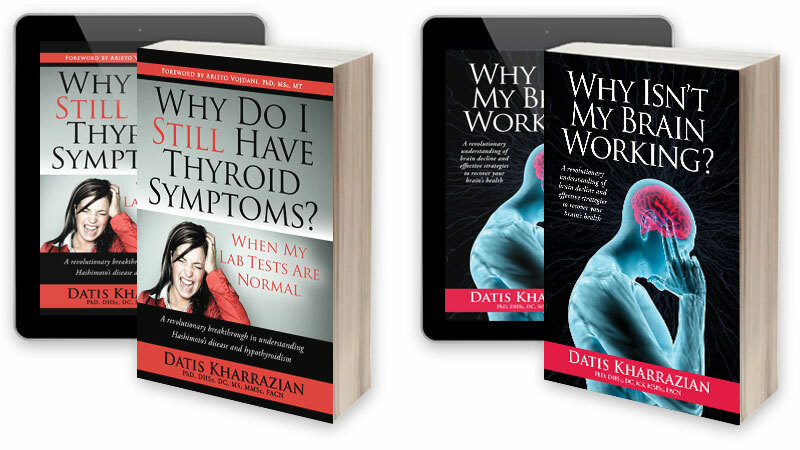 Is there one lab test that includes the thyroid dominant things and the food sensitivities? I have to tell my Doctor what I want. Hi, a popular test to start off with is the Gluten-Associated Cross-Reactive Foods and Foods Sensitivity. This will let you know what foods you are reacting to that you have eaten in the last few months. But you can get similar results doing the elimination/provocation diet. They do not have the TH1/Th2 test yet although my understanding is they will. Does it mean that it is possible that one having Hashimoto can reintroduce eggs, diary or nuts if test comes negative? From the book I understand that gluten must be removed forever, but what about other foods I mentioned or rice? I did Cyrex test array 3 for gluten sensitivity – normal result (with normal antibody levels). I have Hashimoto’s. So can I eat gluten??? Claire – That’s definitely an odd result. There is a tiny percent of Hashi’s people who don’t react to gluten. Were you off of gluten for a while before the test? Have you had the gene test done? I’d recommend also checking for Celiac genes. Hi, I have been gluten and dairy free for 3 to 4 years. I would like to get tested but know if I add these to my diet for testing I will be miserable as I get severe joint pain. I have seen varied answers here about this topic. Do i add these once the night before the test? Or does it need to be added for a full month? I have seen answers from individuals but not from admin. My second question ~ does a primary care physician typically know of these tests or do I need to find some kind of an alternative care physician?